This year at Redis Labs I’ve been tasked with upping our social media presence. I recently updated our LinkedIn and Glassdoor pages. This was really fun, especially because it gave me a chance to look through our funny sales kick off and holiday pictures. Due to my constraints on time, I’ve been seeking tools that will allow me to schedule posts, and give me analytics on the impact our social media channels have. I’ve been struggling to find options that fit a lean start-up budget. I asked our recently on-boarded PR team for their opinion on good analytics tools for our social media. The options they recommended costed thousands of dollars per month! Not exactly what I had in mind..and not exactly budget friendly for a start-up. However, we’ve come to a consensus that HootSuite’s $9.99 “Pro” plan should fit my needs. I definitely love my free account with HootSuite due to its’ ability to let me set posts in advance and edit on screen. I am also looking forward to an upcoming webinar that will teach me about analytics capabilities the Pro Hootsuite plan can offer. After some playing around with this tool, in February, I hope to post a review of my experience with it. In addition to my free HootSuite plan, I’ve also started using SumAll, which gives me a weekly report on metrics. So far, I am only using SumAll for Twitter, so every Tuesday I get an email summarizing the number of tweets that went out the week prior, number of mentions, retweets and so on. SumAll’s user interface was slightly confusing for me, but the free weekly report alone saves me enough time to justify my recommendation that other marketing professionals consider trying to figure it out. I also want to add a word of caution, the SumAll posts your weekly report directly to your Twitter, which is not something I wanted to advertise on our company Twitter, so I had them remove that feature for me. I imagine most businesses do not want to have that post either, so if you do try this tool, go ahead and specify that you don’t want SumAll to post to your social media sites. Now that I’m working with a lean start-up budget at work, I am also trying to bring some budgeting into my own life. You can read about my personal 90 day no shopping ban on my Tumblr here. Happy 2016, and happy budgeting! Americans have long been deemed the opposite of Europeans when it comes to a work life balance. We don’t know how to enjoy life. While France and Italy are famous for croissants and fine leather goods respectively, we are famous for….McDonalds? The grab and go lifestyle? Maybe this reputation is rooted in America’s history, when the Puritan’s migrated from Europe, bringing with them a culture of hard work. Not to mention that even the Native American’s who we stole the land from seemed to have a culture dedicated to farming, without much luxury. Europe, even business centric Europe, is different. You do not see a sweatpants and Starbucks crowd in London, women even dress up to go grocery shopping! That work to live culture is being challenged… at least by those who can afford to challenge it. If you have the luxury to contemplate a work life balance I think this is a good moment to pause, reflect, and perhaps feel some gratitude. There are a lot of people out there, who for varying reasons, do not have an opportunity to even think about work life balance. It is very much a #firstworldproblem. Personally I admire those people who freely choose careers like cardiac surgeon that leave them with little to no work life balance. Executive CEOs who take two weeks or less of maternity leave because they would rather spend that time at work. I also admire those people who choose to prioritize their personal lives, the committed stay and home moms, dads, or simply the everyday folk who follow of regimen of not checking emails on the weekend or after work. Others, like students who have to support themselves and pay for their education, or people who have to work two jobs just to make ends meet remind me that choosing to value life over work is truly a gift that not everyone has. Today I think I fall in the in-between. I work the 8 hours, check emails when I am home and on weekends, I work several weekends simply because of the nature of my work , and I will stay overtime occasionally or when I have to staff an event after work. The in-between worker chooses to find a happy medium. For me this means I leave to hit the yoga class, I take a few days off when I need to, I don’t come to work when I have the flu, and I value my career equally, if not more than my personal life. When you love your job, I think 8 hours has a way of flying by, the weekends you work seem fun, you check emails and find it fulfilling to keep track of your overflowing inbox. However, because I am young, I think that I want to veer more towards my career because I can. When I first started this job I worked 12 -18 hours without rest fairly often, and didn’t mind it because I am unmarried, without kids, with few responsibilities and want to move up in my career and learn as much as I can while I still have the opportunity and freedom to do so. While I admire people who seek balance and even prioritization of their personal life, I find myself weary of young people who claim to want high career success while putting in only the minimum hours and avoiding the “startup life.” I recently went to a dinner, where a young, recently graduated, unemployed engineer told me he did not want to work long hours at a startup now, he wanted an easy life. My mental response to this was in line with Marty Menko’s quote in this Business Insider article “ If you can’t bring yourself to work 70 hours a week occasionally, or it feels like torture, you’re probably at the wrong job.” I also feel that the “take it easy” mentality is exactly what gets us millennials a bad reputation in the workplace. If we don’t put in long hard hours now, when exactly, can we? In our mid-thirties and forties many of us will have additional responsibilities such as kids, spouses, mortgages, house upkeep etc. Forbes had a recent article titled “Study: Millenials’ Work Ethic is in the Eye of the Beholder” this article stated that 66% of elders find millennials hard to manage and 51% of elders say that millennials lack respect. I don’t know the exact details of what specifically Millenials are doing that shuns them as hard to manage and disrespectful, but I think knowing these facts, we can try to alter our behavior. I do not want to get into the argument of “oh perhaps the older generations should be more accommodating,” and so on, I want to focus this blog post strictly on what is happening, and what millennials can do to improve the situation. If anything, maybe we can be less judgmental when it comes our turn to welcome Founders into the workforce (this is a lovely new term for the generation that is post-millennials.) For now, instead of embracing some work life ideal in our early career years shouldn’t we be seeking the acceptance of those above us, usually belonging to different generations, and trying to further our foothold, and gain a meaningful career, before we seek a balance? If you haven’t been able to guess already, I am a little appalled by those who expect to have work life balance in their youth. Instead, I think these early career years are a time to figure out what work captures our interest, and makes us want to spend 8+ hours doing it every day. However, mine is one opinion among many. While I am strongly opposed to seeking balance in our youth, over working very hard during this time, there are certainly times when I imagine it is vital to prioritize life over work. For example, when someone is focusing on building a family. An article titled “Why Millenial Working Women are Leaning Sideways” cited an analysis of surveys conducted by New York Times which revealed that mothers in this generation are “prioritizing jobs with flexible schedules over promotions, and many are factoring pauses into their careers in order to dedicate time to raising a family”Instead of seeking to choose between a career and a life women are taking time to do both. They are essentially taking a pause from work to focus on life, and unpausing when they are ready. In cases like this I admire my generation’s creativity, and laud them for the ability to come up with a way to achieve work life balance as opposed to simply picking between work or family. Most of us have heard the saying.. some work to live, others live to work. This saying may have been true in the past, and possibly even to some degree today. However, I think this is a notion that is being challenged . People are seeking to work and live life to the fullest by seeking work life balance. Perhaps more interesting to me, at least at this point in my career is finding work that interests me enough to make a life out of it, or breathes life into me. Maybe, one day, I will join others in leaning sideways, and seeking a balance, but for now I’ll take a page from Sheryl Sandberg’s book, and focus on leaning in. The thought of October keeps me up at night. I imagine myself with a month full of events running around frizzy haired and frantic. Did I remember to order that extra lead scanner? Did our event invites get sent out? Where the heck is my T-shirt shipment? Redis Labs is doing a number of events and webinars in October feel free to check them out, they are literally my life’s work at the moment and if you’re planning to attend, yes I will give you a shirt, a sticker, a baby onesie, and what not. Anyways, as I once heard in Spy Kids, a spy is only as good as his/her gadgets. In event planning, a planner may not be only as good as her tools, but they certainly help! I want to walk you through a couple of the event planning tools that I have recently discovered and am eager to try. The first tool is for lead retrieval, and helps me categorize our leads faster, the second is an event website which is allowing me to bypass having to bother my entire website team, and generally allowing me a great chance to drive traction to my booth! When we attend an event, there are a number of challenges that are faced. If we have too many people at the booth, I cannot possibly expect the sales team to fill out an in depth questionnaire gathering details on each and every lead. Instead we’ve resorted to simply scanning them and sorting them out later, which simply isn’t scalable. Enter expo badge and whoever thought of the action code. For those of you who aren’t familiar with lead collection at events, let me break it down for you. At the majority of large scale tech events all attendees are given badges with a bar code on them, similar to the bar codes on your food items at a grocery store, sponsors at the shows have scanners at their booth that can scan these bar codes, similar to those that cashiers at the grocery store have to scan your groceries. When a sponsor scans you they get the information that you put down to register, usually consisting of name, company, title, email and phone number. All of this information is useful for a sponsor, but it isn’t enough to categorize you from the many other attendees at the show. For example, I am interested in all database admins, but I am particularly eager to talk to those database admins that are seeking a NoSQL solution. How then can I categorize them? In most shows we utilize a survey administered via an ipad, however with crowds of up to 30 people at a time showing up to my rather small booth, , its not practical to have each person do a questionnaire, instead something like an action code is much more feasible. An action code is simply another bar code that is generated with data saying “Interested in NoSQL” or “Hot Lead” or “Wants a meeting.” With action codes I can simply scan an attendee, find out data and quickly scan the action codes that best apply to them. If you are interested in learning more about action codes, or if my explanation of this miraculous action code is unclear check out another blog that explains the concept very well here. Overall, each event comes with it’s own set of challenges, fortunately challenges can be overcome with the right tools ( and attitude). I’m not saying I won’t still be freaking out every show, but these tools help me sleep better, as do my great suppliers who’ve promised that my shipments will arrive in time. With expo badge and splash by my side I think I might make it through October in one piece. As for the frizz, lots of serum, heat protectant and my industrial strength GHD straightener should be able to handle that…right? Like San Francisco, people today have an eclectic, unsettled, always in a rush feeling about them. They like craft beer, and yoga, gluten-free pastries and sustainable living alongside expensive coffee (blue-bottle anyone? ), and hiking. Linked-in profiles describe job titles as “Hacking Princess” or “Analytics Ninja.” It seems like no one wants to be doing the same thing in ten years. I run into developers who would like to own a bar in ten years, medical students who might want to switch careers and try patent law, marketing professionals who are thinking about becoming monks, and sales guys who would rather be known for climbing Mount Everest. It’s not that I didn’t experience a healthy dose of identity crisis, I just experienced it in college, which, I’ve always thought, is when you’re supposed to figure it out. In the sixth grade I decided I wanted to be a therapist, and it wasn’t until the end of my sophomore year that it became abundantly clear to me that I was not willing to make the sacrifices to do that. At age 20, I came to the painful realization that I was becoming too old to contemplate career paths like a ballerina, model, or astronaut. Eventually, I bucked up and pursued several business internships and finally ended up at my current job as a marketing coordinator for a tech startup. There are days, nay moments, that I wonder what it would be like to be a professional model, or famous writer, but then I remind myself models can’t eat copious amounts of bacon and ice cream without the risk of losing their jobs, and writers have to write for a paycheck, and I wouldn’t want to turn a hobby I love into my only means of a paycheck. It turns out that I am not the only one exasperated by the confusion that envelops people today. A recent article titled “Why Millenials Can’t Grow Up” in Slate magazine described in depth the confusion faced by Amy ( not a real name) who was contemplating getting a PH.D simply because she could not figure out what she wanted to do with her life. The author Brooke Donaton, is a psychotherapist and she examines Amy in light of a generation of people who have grown up with the concept of “emerging adulthood” and describes this generation as one plagued by depression and guilty of being unable to make decisions themselves, a situation she blames on helicopter parents. Donaton describes Amy’s struggle to manage her time without the guidance of her parents in college. While such behavior may be accepted, and even normal, in a 21 year old, the woman described in Slate’s article is 30 years old. Another shocking finding discussed in the Atlantic article was regarding millennial stance on social policies. While most of the millennial generation is for legalizing gay marriage and marijuana, we have the same division of views on abortion and gun control as generations before us. This finding actually made me question the validity of the study, or perhaps the finding is just a shock to my West Coast and liberal upbringing. After reading all this conflicting data on millennials, I question if lumping people into groups by age is really a good idea. Perhaps confusion isn’t a generational issue, but rather one more segmented by location. I know many a 40 year old that seems just as confused as my 20 something peers. I don’t think my view is unwarranted, in fact, I feel than many feel that the bay area is a confusing place to live. One woman aptly describes her own experience as a 36 year old in the bay area in this article for The Bold Italic. She states that at 36 it has hit her that she is now in her 30s and that the only adult milestone she has achieved in her life consists of buying a condo, and laments that she still has not figured out her career at 36. Her situation doesn’t strike me as unique, but rather telling of at least one of the issues many people in the bay area face. Some may have a career figured out, but not a partner or children. Others have a partner, and a job, but not enough income to afford a house or kids. It makes me wonder if it is not that the bay area has a culture that dismisses traditional milestones, but rather it’s a place where they may not be achievable for many. In fact going back to the window of my hipster coffee shop in San Francisco, it is not uncommon for protestors to vehemently chant about the gentrification of their city. This gentrification may at least be partially to blame for the inability of several people in the bay area to be able to achieve what were once considered typical life goals. Some have begun to describe this phenomenon as the Silicon Valley Class war. An article titled “In This Silicon Valley Tech Culture and Class War We’re fighting About The Wrong Things” on Wired described the impact of the tech boom on the working class of San Francisco, majority of these incidents such as the BART workers strike and the Google Shuttle protest took place in 2013. Two years later, I only see tech companies and their workers living and thriving in the city, the locals have become out of date, gentrification is in many way’s winning. The Civic Center Bart Stop in SF, which was once considered the sketchiest stop of all, is now home to Twitter and NEMA, an expensive apartment complex, no doubt home to many a tech worker. Perhaps confusion, and uncertainty is the new normal, and I am the one who is out of date. Today, old monumental establishments such as the Buena Vista Café in Fisherman’s Warf founded in 1912, famous for bringing Irish Coffee to our shores in 1952, coexist with new, hot, happening restaurants such as the highly anticipated Liholiho Yatch Club, which will feature Hawaiian-Indian Cusine. When I finally leave the comfort of my coffee shop, and face the cold, usually foggy streets of the city I encounter millennials, particularly in SOMA, Haight and the Mission, however I also run into homeless people, working class construction workers, and elderly couples, roaming the streets of Nob Hill, and enjoying the view from their rent controlled apartments in the Embarcadero. One trip to China Town or a run into the masses of professionals of all ages and social classes rushing to catch BART, or the Muni reminds me that this city is growing, adapting, and changing, albeit at its own pace, and not without a fight. A simple google search on the “purpose of a marketing budget” or “how to build a results-driven marketing budget” yields a number of different views on budgets for marketing; All, okay, nearly all, of these articles suggest that one take a hard look at the revenue generated by previous marketing efforts. While this advice is well and good for a company that has years of revenue data, how does one create a budget for a startup that is in its first year of sales, or has not yet been able to build a clear system that links previous sales to marketing activities? Is building a marketing budget for a startup inherently different from building an enterprise marketing budget, or are all marketing budgets based on the same principles? Perhaps there isn’t a single answer to this question. In fact some may argue that each marketing budget differs based on industry, company size, company goals, and the target audience. I don’t really want to spend time getting into these arguments, but I do want to acknowledge that these issues exist. Articles that are titled “ 5 steps to a __________ “ are rarely applicable to every situation. My goal was to understand “How to Set up a Marketing Budget for a Startup” which is something that I am watching happen before me. I manage budget for events (which eats up a large chunk of budget), due to this costly part of the business, I am constantly under pressure to optimize the budget. I found several interesting articles on this topic, surprisingly none of them from my usual top sources such as Forbes or Business Insider, all of these articles happened to be written by people I imagine have created their own startup budgets or watched it happen. Discusses the different steps involved in setting up a budget. A few other interesting articles caught my attention, although they weren’t targeted specifically to startup marketing. One, from the Small Business Association discussed budgets specific to your business and how they could provide a high value ROI. Another, from KickOffLabs talked about working on zero budget. Link to the Small business article here, and link to the low budget option here. Happy Budgeting! Up Next: Why is Everyone so Confused? : An opinionated analysis of millennials and bay area career culture. Attending a private school that offers a fully liberal arts education has its pros and cons. A huge pro is that you get to experience a holistic curriculum, writing is valued in practically every subject, and classes tend to be small enough that you actually know the names of everyone in class and so does your professor. I enjoyed each minute of my undergrad and miss it dearly. However, this education came at a high price, and for those students who don’t receive substantial scholarships and help from parents I am not sure it is worth the cost from a career standpoint. I was lucky to have had both a scholarship and full parental support for my education, I am grateful that student loans are not something I have to worry about unless I pursue grad school. In my opinion, however, I wonder about the value of my education and it’s application to the real world. Much of the real world experience and career building I got from school, was built out of my own ambition to seek lots of internships and publication opportunities. Moreover as I entered the world of Sales and Marketing I felt that my business program had not adequately prepared me with the common terms used in the industry. Something as basic as the Marketing Funnel and Sales Pipeline were not covered in what was considered an “honors” business program. Why is it important to know these basics? Why do I think schools should teach them? Most students pursue a college degree to increase their chances of employment after graduation. Research supportsthat those with a college degree are less likely to be unemployed than those without a degree, one study conducted by the National Center for Education Statistics revealed that in 2014, the unemployment rate for those with a college degree was 7%, whereas the unemployment rate for those with only a high school education was at nearly 20%. Since college is viewed and meant to indicate skills that are more worthy to employers, education institutions, particularly the most expensive private institutions ought to prepare students for employment. Universities and colleges can do this by having a heavy application based curriculum. Some may argue that those attending a school like mine, which specializes in liberal arts, are attending college for the experience and not to gain workplace skills. My response to this would be that, although students choosing to major in more traditionally liberal arts fields may be looking to read and discuss great literature and write deep philosophy papers as opposed to gaining knowledge pertinent to future careers, someone enrolled in a business program is seeking to gain applicable skills. Understanding the basics of any profession can empower students to be less confused and have an edge into the business world and in internships. An understanding of the big picture and basic concepts will help make the specifics more simple. In school you learn about numbers, then, basic math functions, then algebra, then calculus, and then multivariable calculus, and so on. The least colleges can do is take students through the basics of business concepts, for example a basic understanding of the funnels and pipelines clearly allows students to see more intricate details. 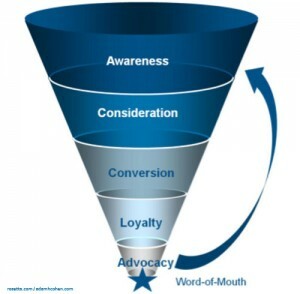 For example with a simple glance at the funnel and pipeline explains to students the difference between sales and marketing, sets the foundation for an understanding of lead generation and conversion. One year out of college, and much of the concepts I have learned and held on to about marketing conceptually were not taught to me in school. Instead, I learned about SWOT analysis and the Marketing Mix, much of which is outdated in the world I am part of now, or meant for strategic marketing and sales analysis, which at least in the tech industry is something only high level executives play an active role in defining. Maybe companies need to provide training when they hire recent grads, however I do think that most companies, particularly start-ups do not have the bandwidth for such efforts. As such, I believe that colleges, universities and industry ought to keep in sync and up-to date about the latest concepts related to real world jobs for students. Higher education should strive to provide both intellectual exploration and serious real world application and skills to those who pursue it. A friend recently referred to marketing as “magic” he wasn’t referring to it’s enchantment however, instead we were discussing how marketing is one of the first departments to be affected when a company goes under. We felt that this was primarily because it was hard to measure its ROI on the the bottom line. I’ve encountered the ROI problem more than once in my current marketing role. How does one measure the impact of attending an event, having a webinar, or a speaking session. What is the impact of daily blog posts? White papers? A facebook or twitter campaign? Marketo addresses some of these challenges in this article. I think Marketo captures the way we measure webinar ROI pretty well, and the way I imagine most companies do as well. I’ve learned that with events you can build out a campaign in Salesforce and measure the total leads, the market qualified leads, the sales qualified leads and the final revenue generated by an event and compare that against the total event cost to see what the ROI was. Seems pretty simple right? Unfortunately it isn’t. 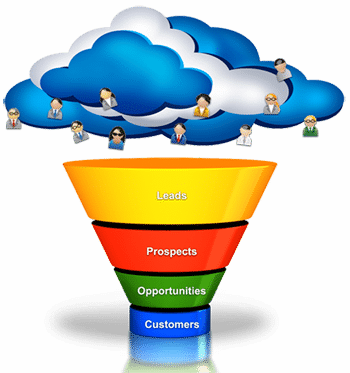 Some leads that eventually end up as customers are touched ny a number of different marketing activities. For example we initially meet the leadat an event, then we send them a webinar, then they maybe see us at another event and attend a speaking session. Finally, they decide to buy. Do I attribute the revenue from this final sale to each different marketing activity evenly? Do I allocate the entire sale amount to the first marketing activity? Or perhaps I allocated the total to the last marketing activity? In the end, I proposed an even split, but that was just a hunch. How do I know the specific instance that led this person to make a decision without asking them? Did they really get affected by each event or did one particular event convince them more than the rest? It is not a black and white, yes or no answer. In conclusion, I’m all about the numbers in most cases, but I’m starting to question if one has to look at numbers, and ROI differently when it comes to marketing. Perhaps evaluating the effectiveness of different marketing efforts requires a different system than the traditional ROI model.